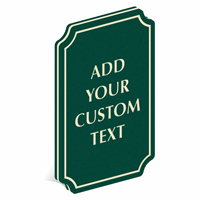 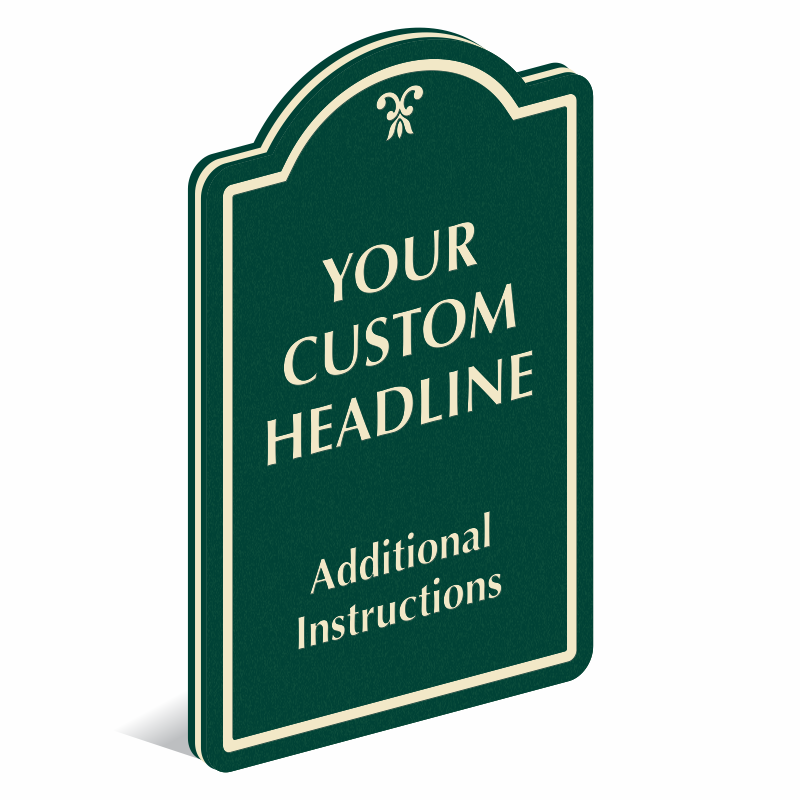 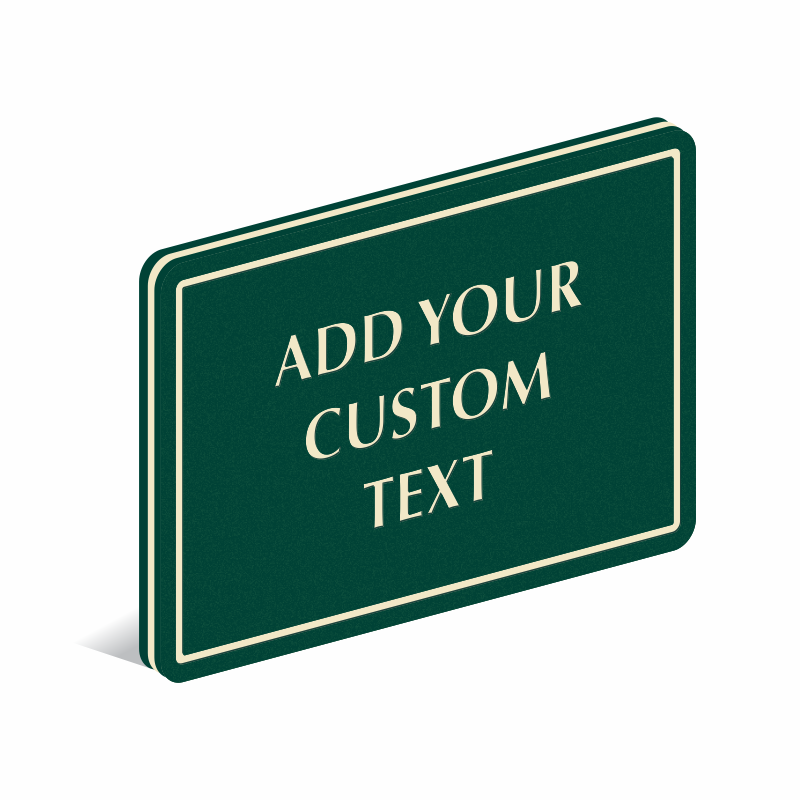 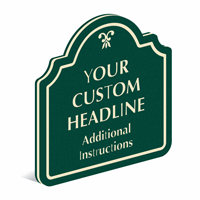 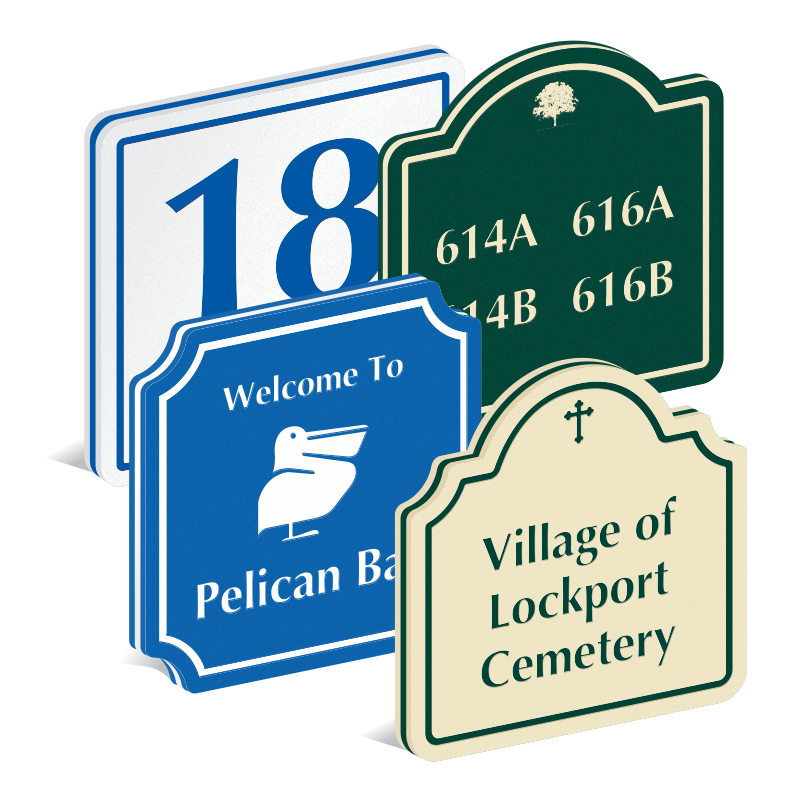 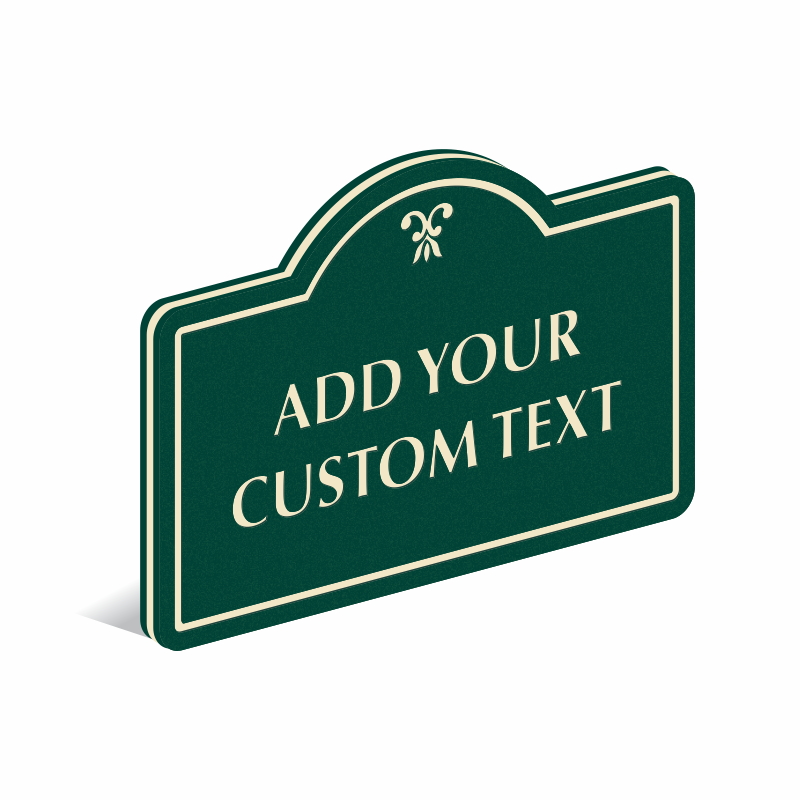 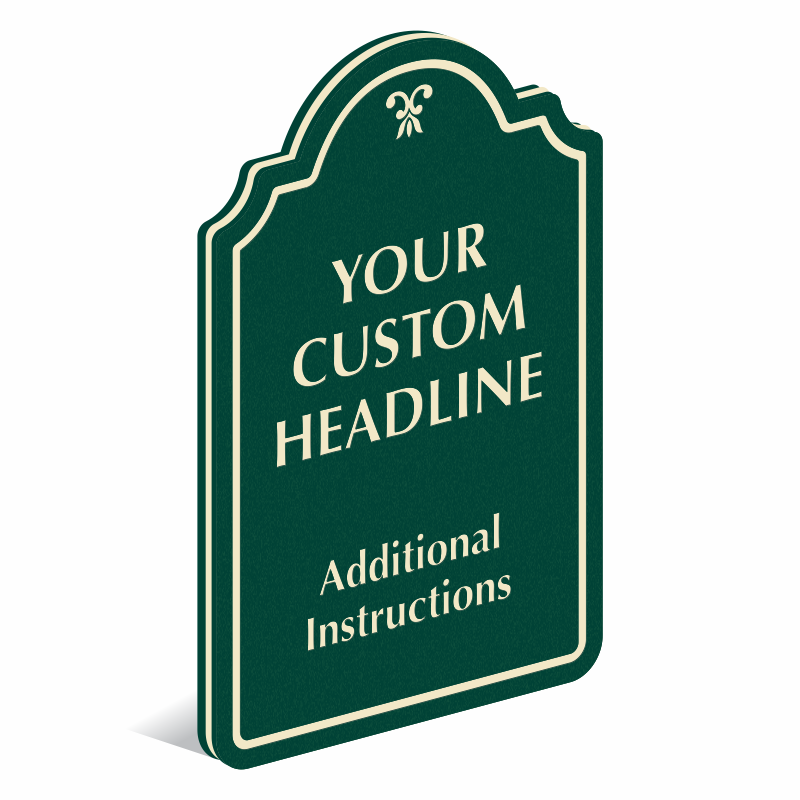 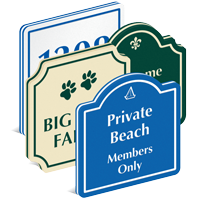 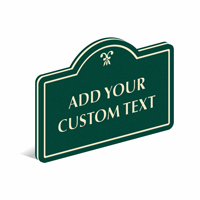 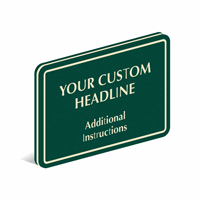 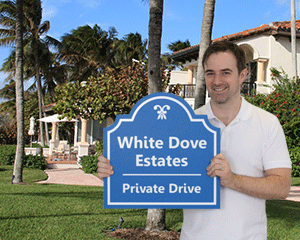 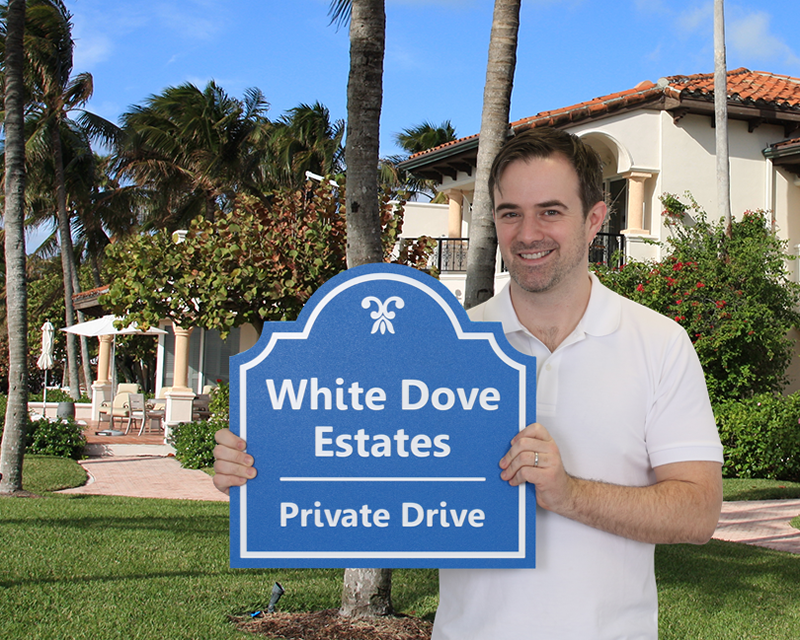 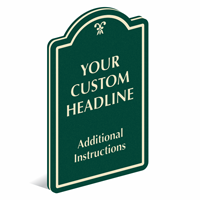 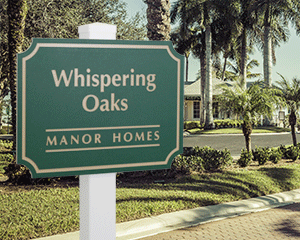 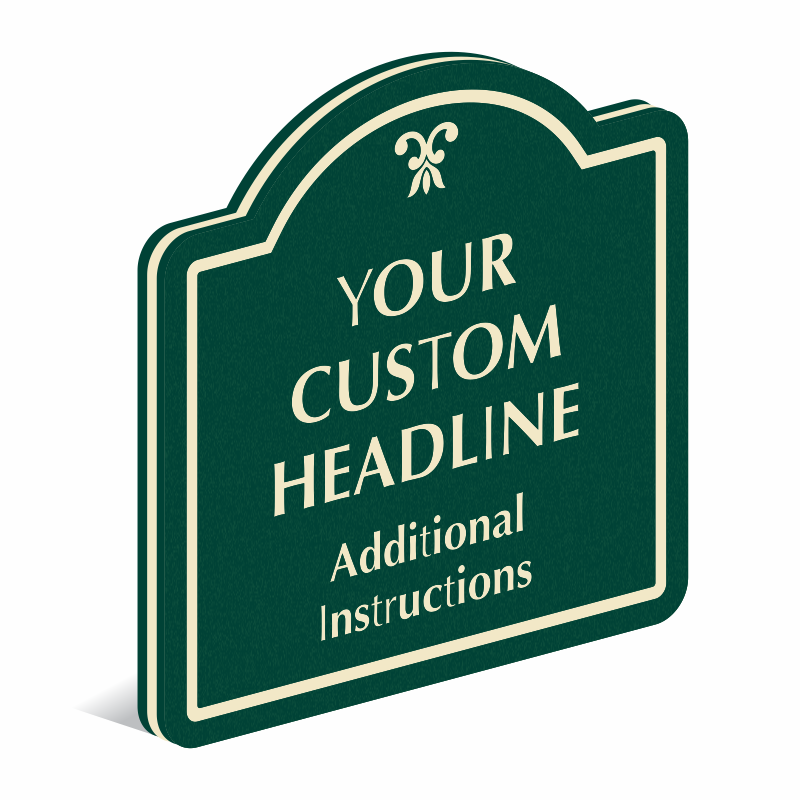 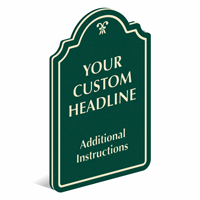 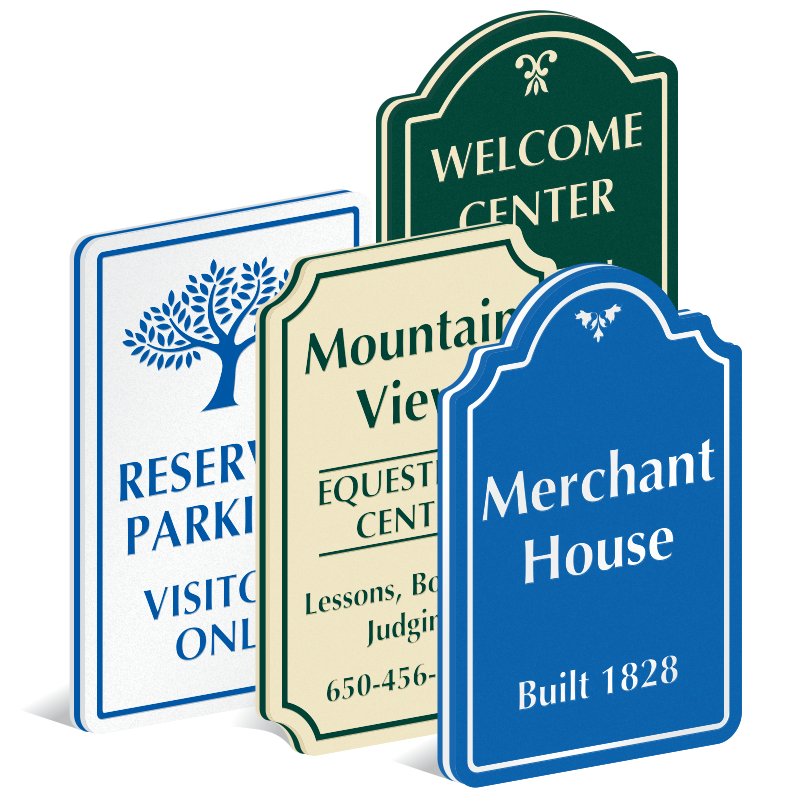 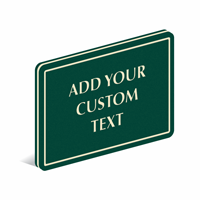 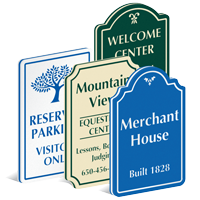 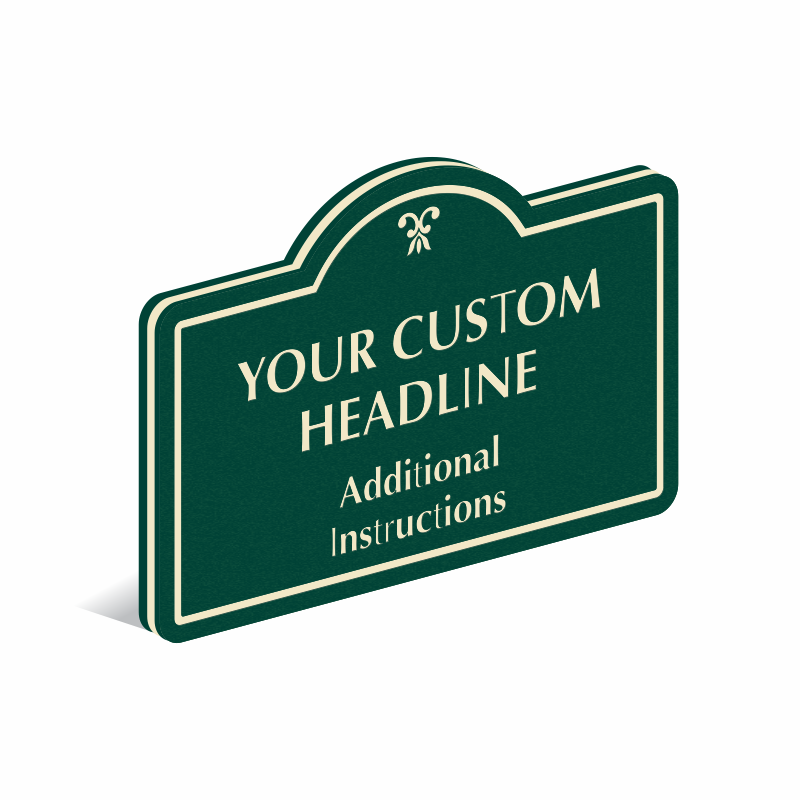 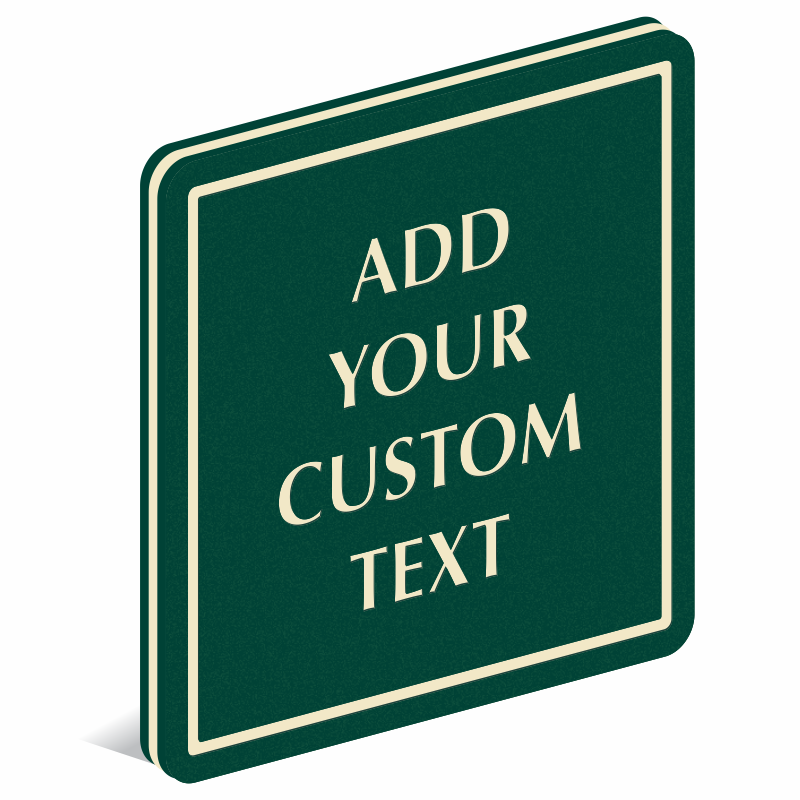 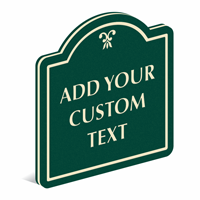 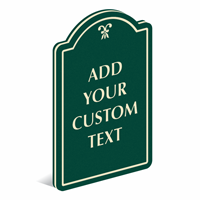 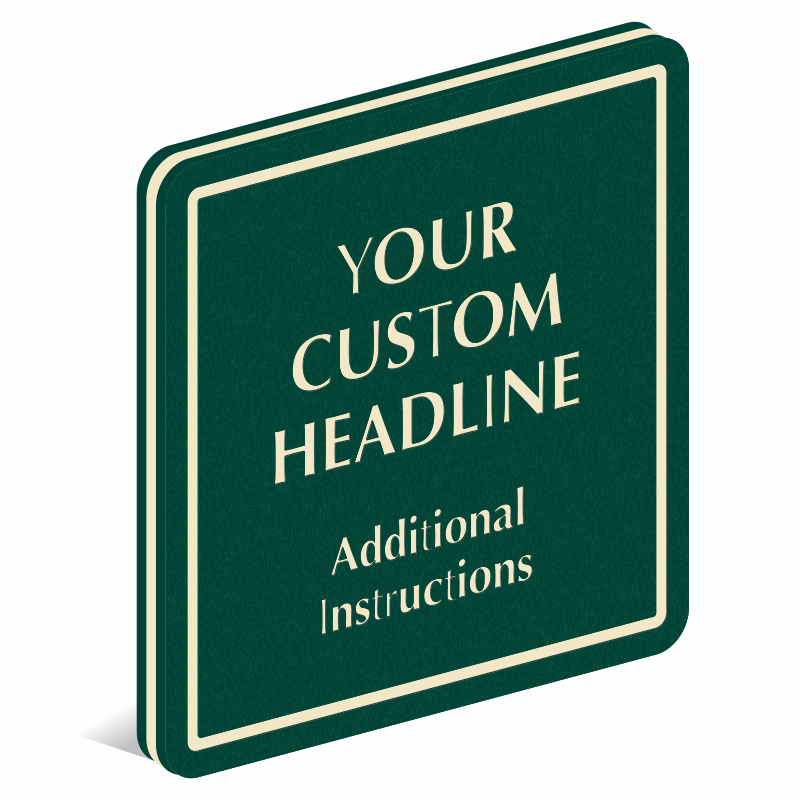 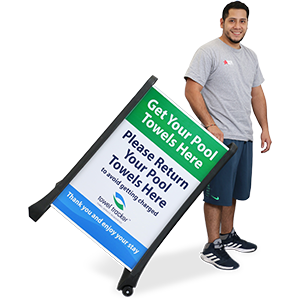 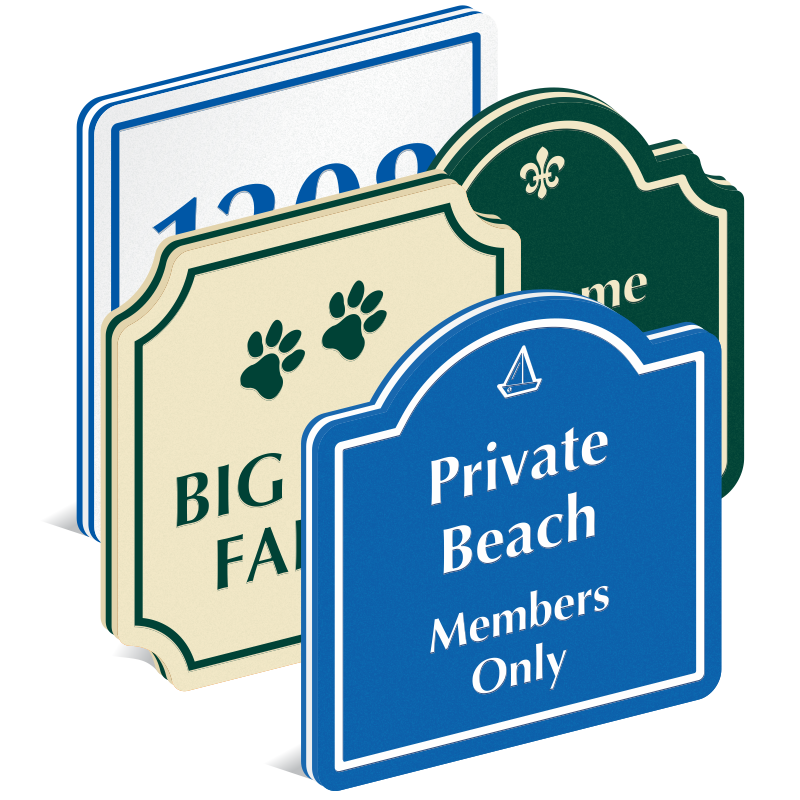 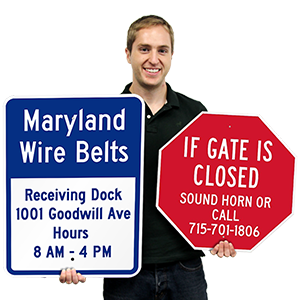 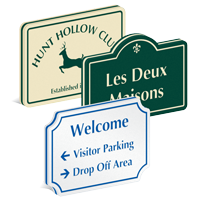 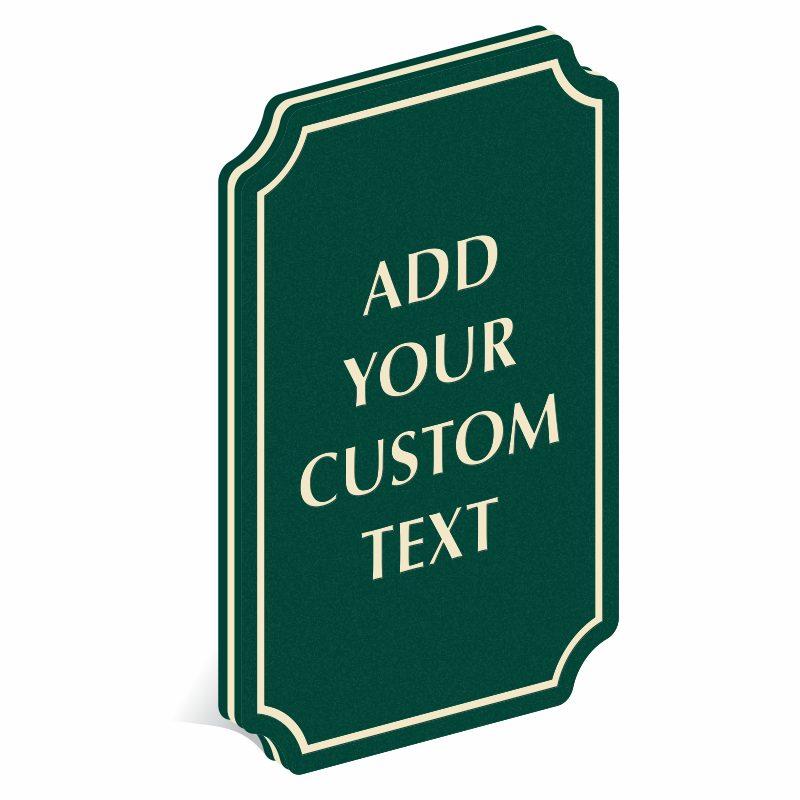 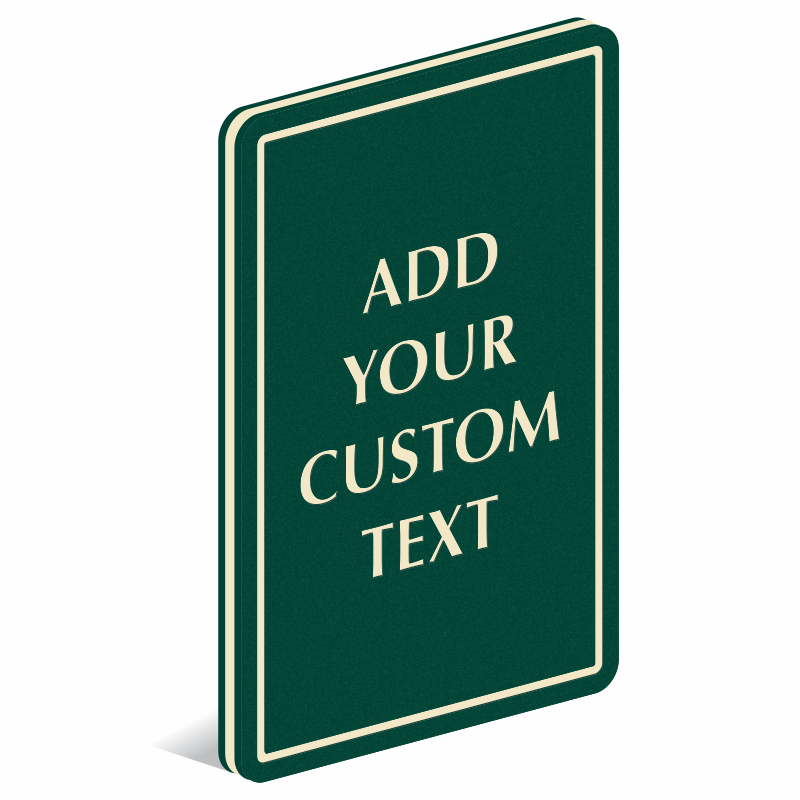 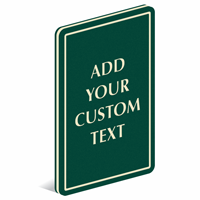 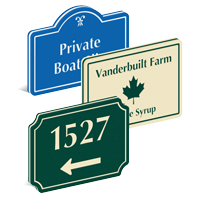 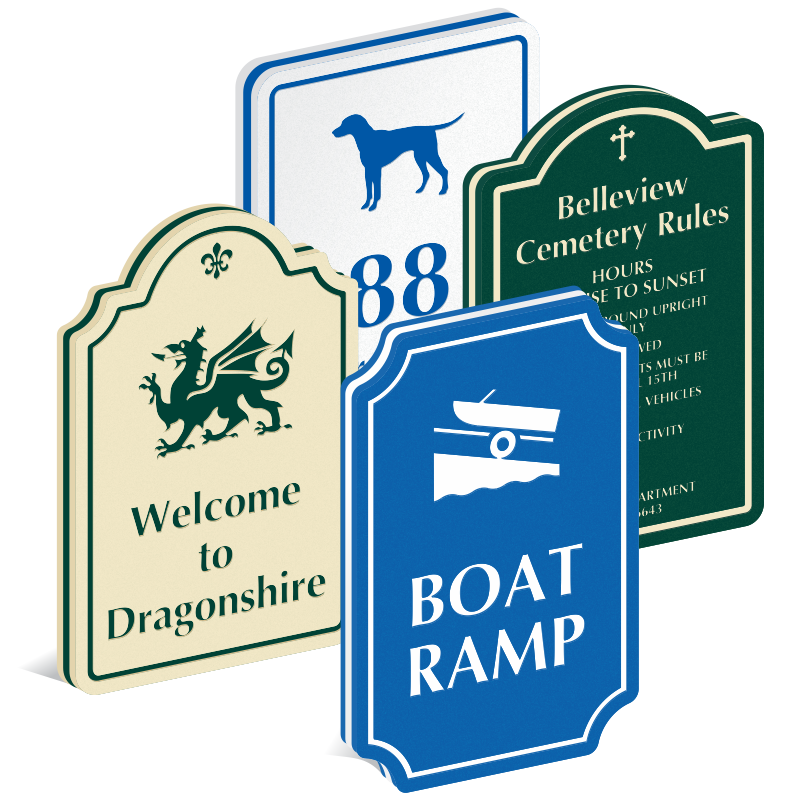 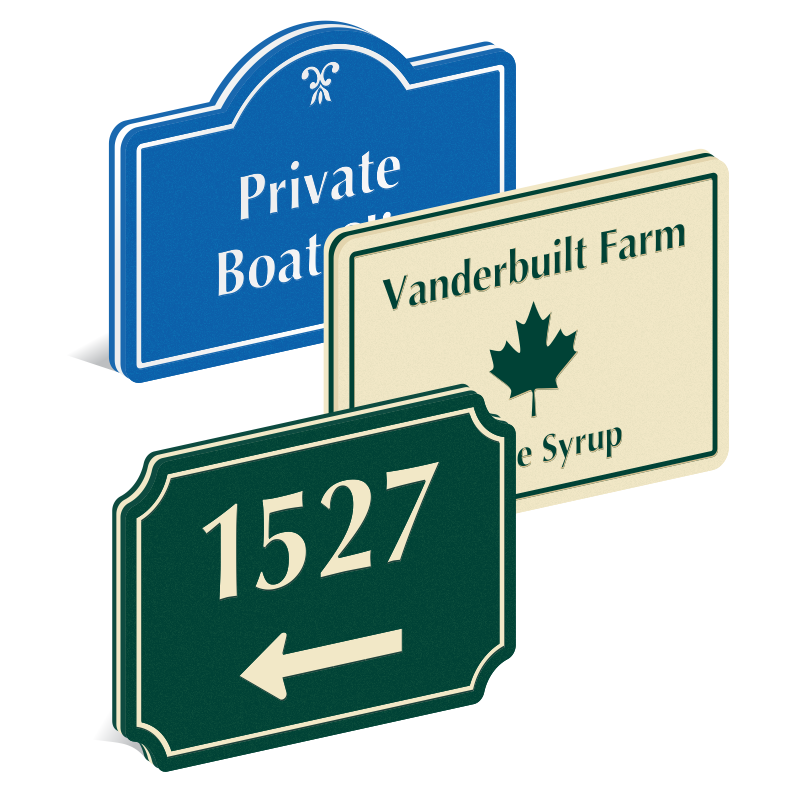 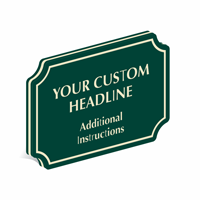 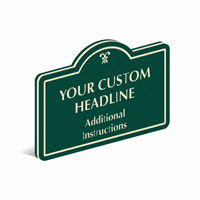 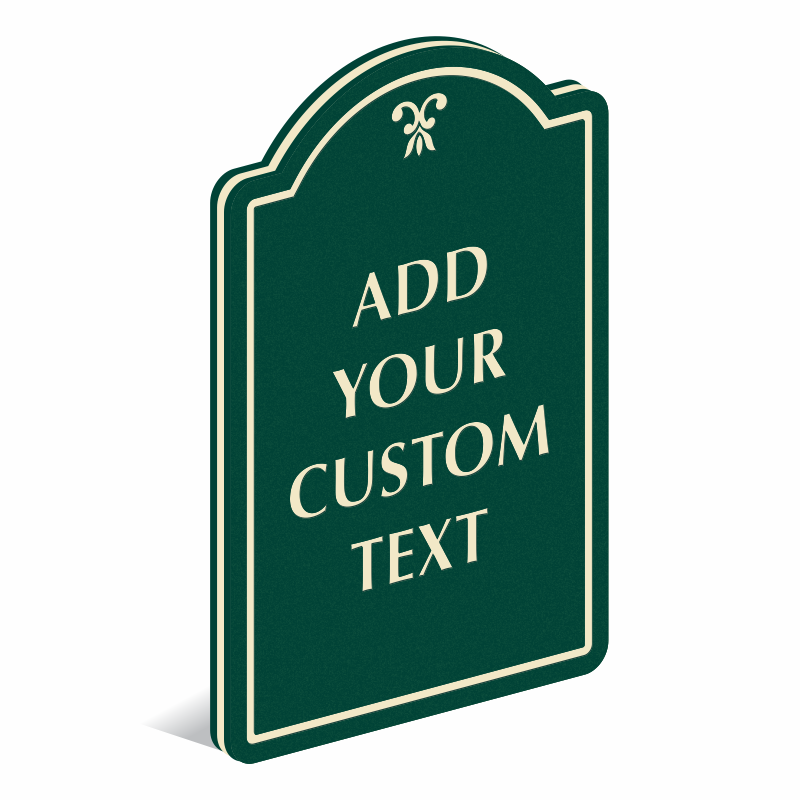 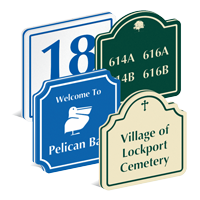 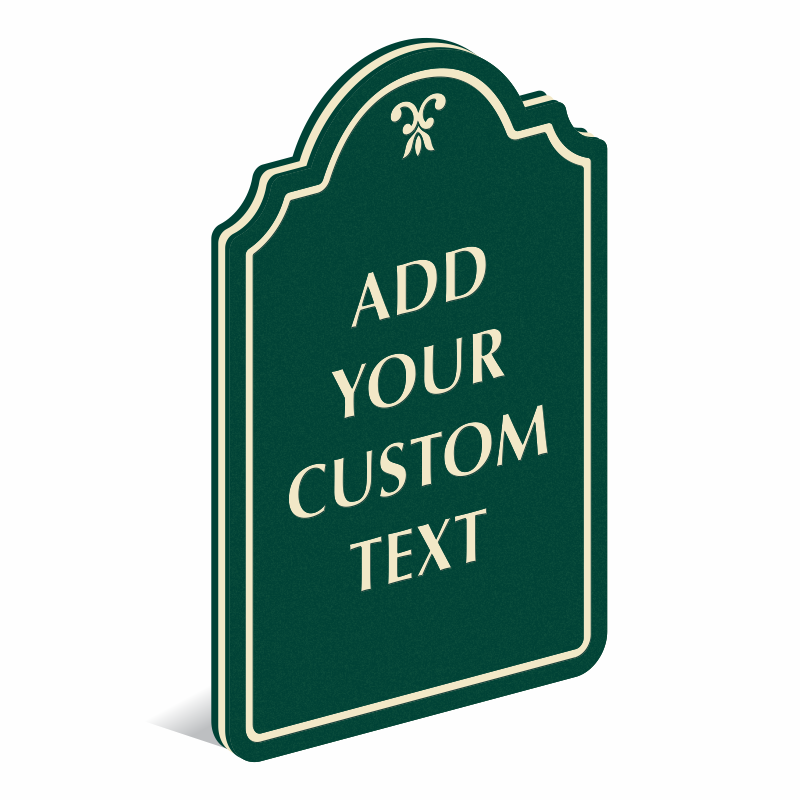 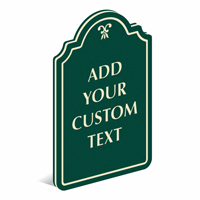 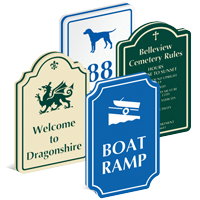 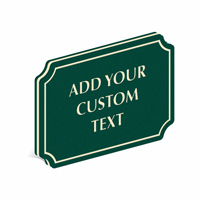 • Signs are ideal for high-end resorts, marinas, golf courses, dog parks and playgrounds. 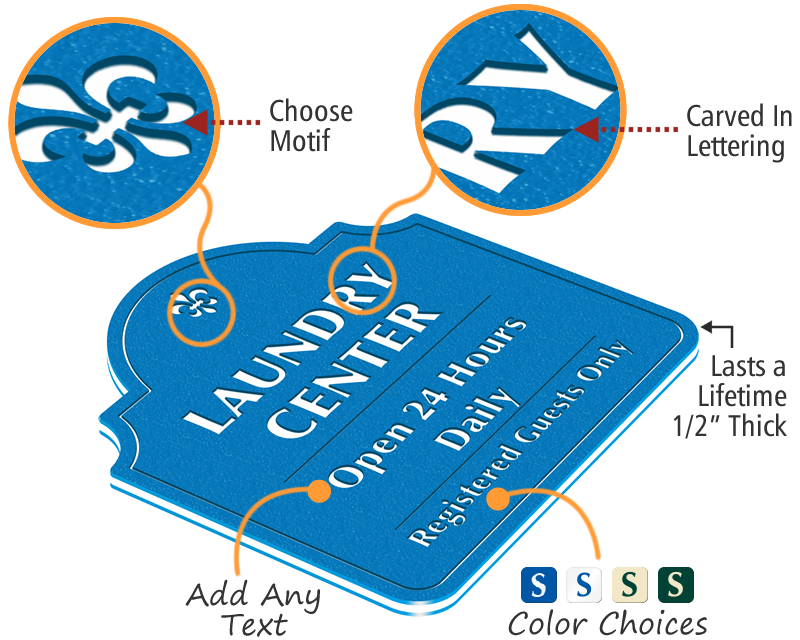 • Letters are “carved out”, exposing a contrasting core color. 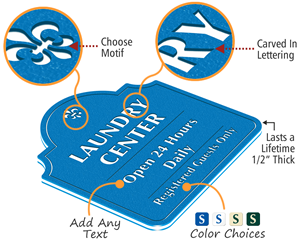 Note, however, that small type or thin lines in a logo are not easily reproduced. Our art department may need to smooth your graphics a bit. But, you will be sent a pre-production, no-obligation proof for approval, prior to CNC routing. 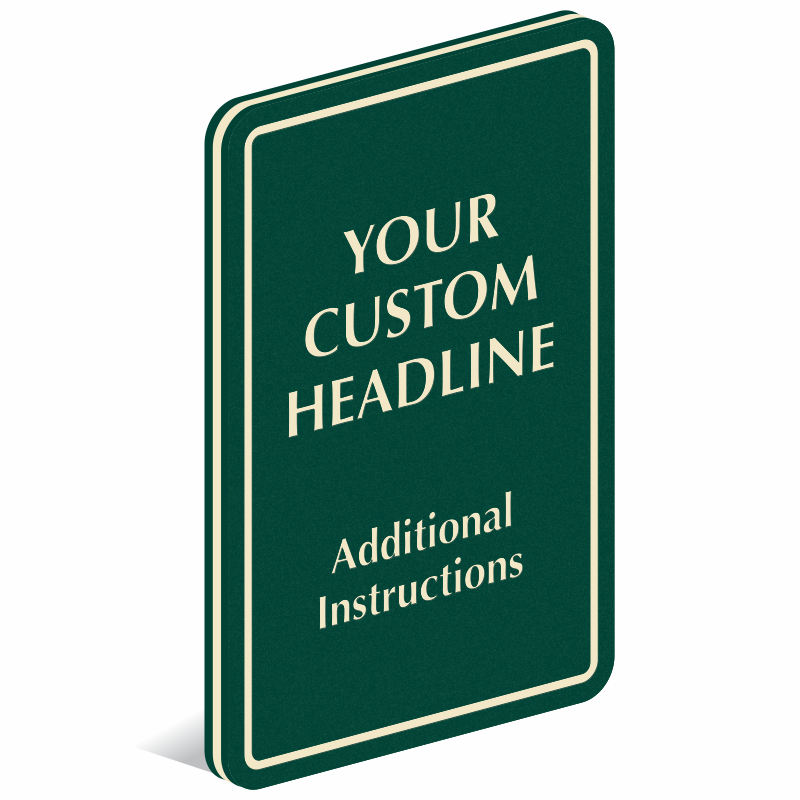 • Click on one of the free form designs or pre-made templates below. You may also upload your own art. Upload your own art. Or, give us your text and we will send you a polished, pre-production proof for you to approve. 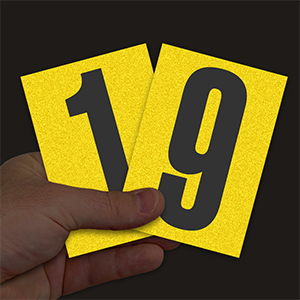 Once you click on the shape and size of sign that want, the next screen will help you define the other details for your sign. 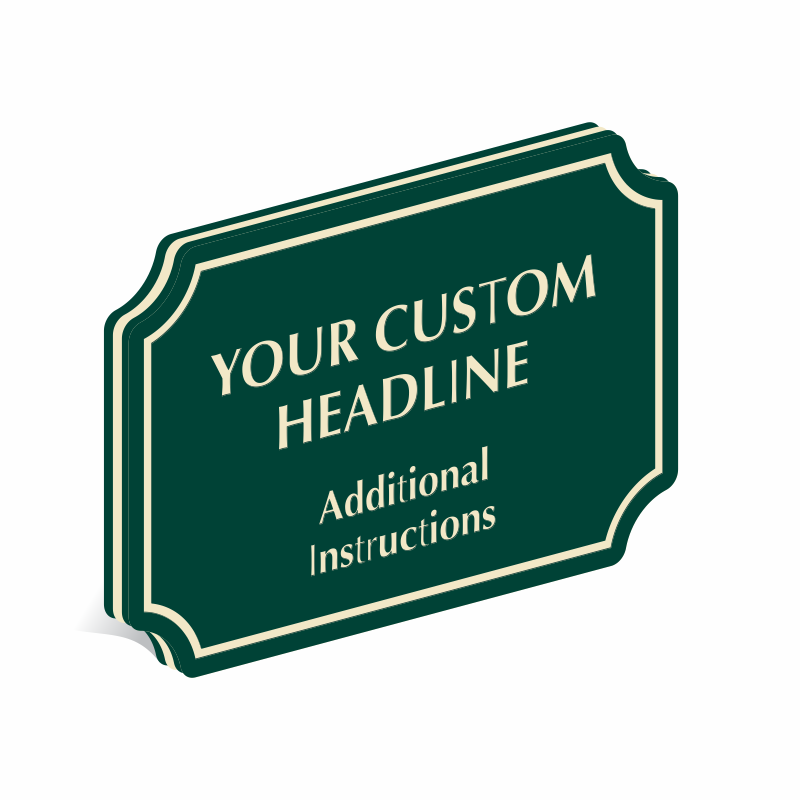 Ordering just takes a minute or two. 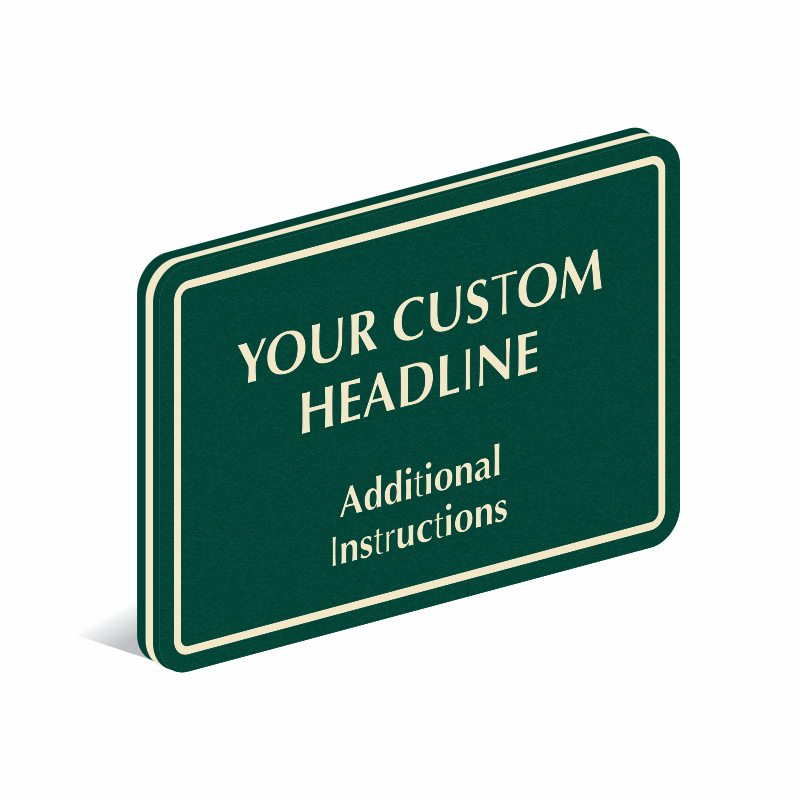 Start with one of our premade templates. 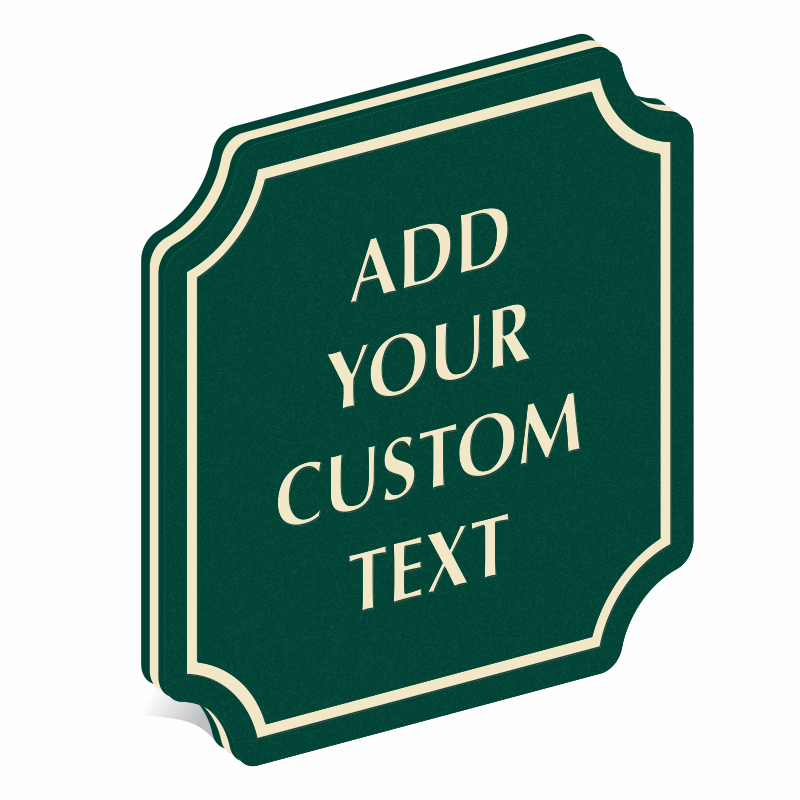 Just add your text. 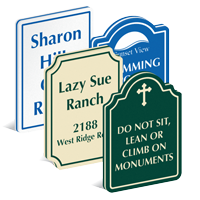 Each design is available in a range of shapes, sizes and shapes.